Optimal Industrial Automation Ltd has designed, developed and installed a bespoke high speed vision inspection system for a manufacturer of high technology web that is fabricated for use in green energy projects. The system uses Cognex VisionPro software to process critical dimensional and physical attributes of the web whilst the web is running at high speed. The whole 500mm width of the web is inspected to a resolution of 125µm whilst the web is running at 1½ metres per second. 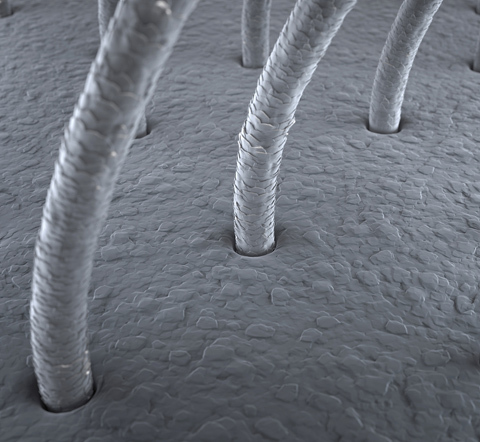 To provide a reference, 125µm is similar to the diameter of a human hair. Any small defect in the web can result in a critical degradation of the product’s performance or worse still, a failure, which is not acceptable. At that resolution, width and speed the result is big data that requires processing. The client initially investigated buying a vision inspection system from a standard supplier. However, due to the complexity of the task, no standard product was available. 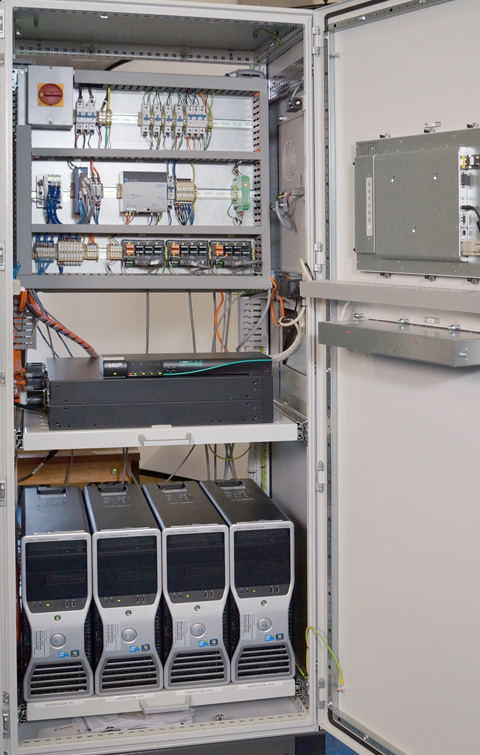 This led to an approach to Optimal, a company with a track record of executing complex vision inspection projects, to develop a bespoke system. Optimal agreed to undertake the task, which involved developing new techniques for use across web inspection products. Part of the inspection task was to detect very small surface contaminants, these often being black. On a high contrast surface this should not be an issue, however for this project the target substrate was dark in colour and provided a low contrast which made the task much more challenging. A further part of the project related to the dimensional verification of key surface details, and these too had to be measured to a high level of accuracy with the web running at high speed. The scale of the task is evidenced by the resolution requirement for the web of 125µm: similar to the diameter of a human hair. This means that defects only just discernible to the naked human eye had to be detected robustly, notwithstanding the previously mentioned contrast challenges. A further complication is that the web has to be inspected on both sides, before another operation is carried out on the product, and it is then inspected a third time; therefore, the inspection system requires three inspection stations. This means that, with the resolution requirement across the whole web, the amount of data that has to be continuously read and then processed in real time is absolutely huge; and it is quite impossible for the processing to be handled by just one computer. Optimal adopted a three-pronged approach to the project. The first stage involved developing vision inspection techniques that suited the challenging application – both from a data (image) acquisition point of view and a physical point of view. Optimal tested various camera systems, from multiple area scan through to individual and multiple line scan systems, but each had their issues. The company had to overcome problems such as camera frame rate, physical space aspects, and how the system would work in combination with the computers that had to process the data. After testing all these types of camera, Optimal settled on a state–of-the-art Contact Image Sensor used in combination with Cognex VisionPro software. This had to be configured in a specific way; however, by working with the manufacturer, Optimal was able to achieve the desired features. 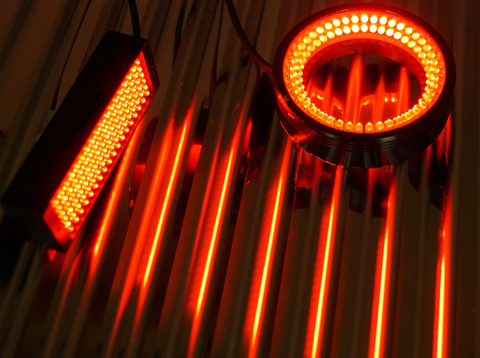 In combination with the vision inspection development, Optimal also had to develop special lighting techniques, which were critical to the success of the inspection project. Lighting is always critical to the success of a machine vision project, however for this project the demands were even greater than those normally encountered. The third project stage was arguably the most demanding: developing the high level software application and the networking techniques necessary to handle and process the huge amounts of data in real time. The data processing requirements of the system were such that multiple computers were required to provide decentralised processing; and this necessitated extensive data exchange between all of these machines and the cameras; this having to be in real time. This took a huge amount of development and testing work before the best solution was finalised. After testing and the development of the necessary image processing algorithms it became clear that the computing power demands were going to be much higher than originally anticipated, the computing requirements necessitating the use of 4 powerful machines with one machine being dedicated to each inspection task and the 4th carrying out user interface functions. This computer ‘array’ necessitated the development and testing of various data exchange techniques that would keep up with the system’s real time requirements. Finally a method was developed that coped with the required speeds and was robust in ensuring that no data was lost. Extensive testing of Optimal's prototype inspection system was required, prior to adoption by the client. To achieve this, Optimal designed a test rig that enabled the end product to be tested in real time, outside of the production facility. The whole system was brought together and tested in real time. As is the norm with testing a development application, testing revealed a few issues with the vision application and the software processing the data. After extensive testing the Optimal system was installed at the client's plant, where it is running on a continuous production line. Since installation, which was achieved on time and to budget, the manufacturer has reported that there have been no faults in downstream products resulting from defects that the Optimal system is inspecting. The success of this first system has resulted in another order from the same client for a second identical system. Optimal is planning to use the technology that it has developed in a unique product offer. Picture 1. The system can detect 125µm defects, similar in size to the diameter of a human hair moving at 1.5m per second, across a 0.5m wide web. Picture 2. Specialist lighting was employed to show defects up on a dark material to help a state–of-the-art Contact Image Sensor pick them up reliably. Picture 3. There are 4 powerful PCs being used in total, with one machine being dedicated to each inspection task and the 4th to carrying out user interface functions. Picture 4. 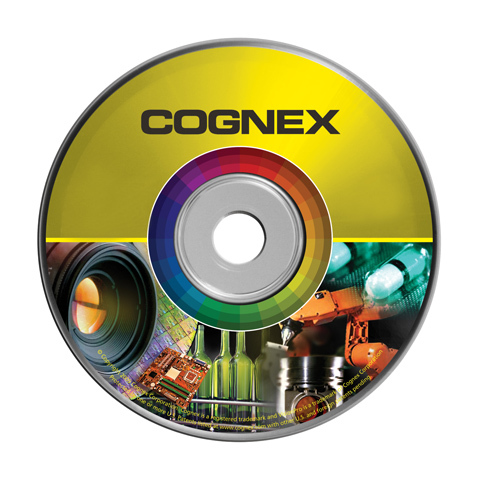 Cognex VisionPro software was used to process large amounts of data acquired by three image sensors positioned across the 0.5 metre wide high speed web of material.